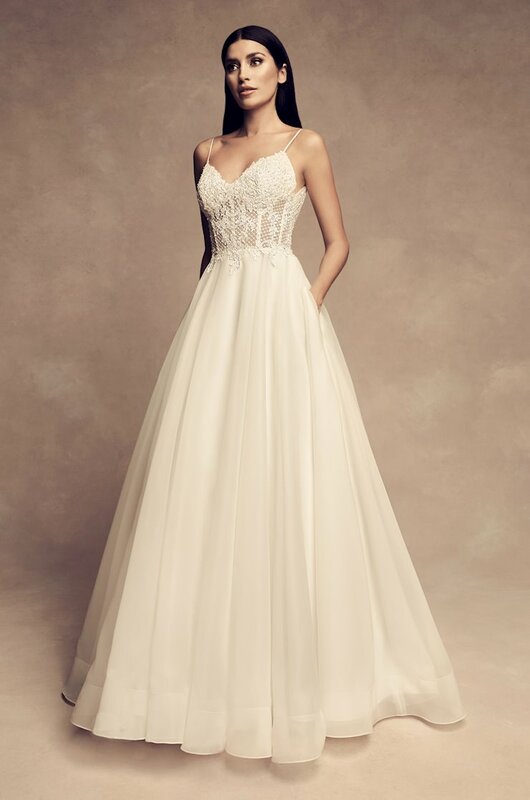 Paloma Cr�pe gown with boat neckline and beaded appliqu� cap sleeves. Fabric belt with beaded appliqu� at waist. Fit and flare Cr�pe skirt with inverted seam at back of train. Sample shown in Champagne.